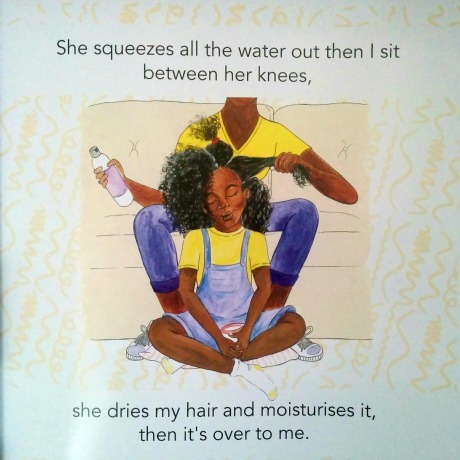 A simple book with a simple message, the book aims to teach girls the importance of loving themselves and embracing their "non-typical" hair from a young age. 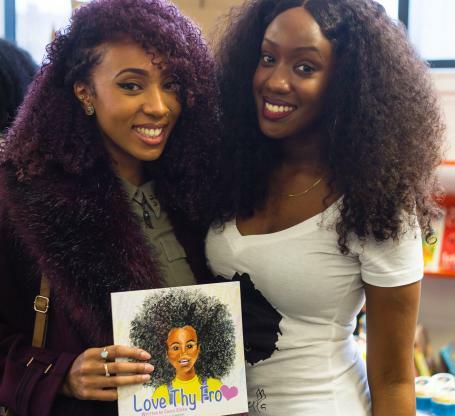 ​"My decision to write Love Thy Fro was a very random one stemming from my realisation that, if I were to become a mother to a daughter anytime soon, I would have a really hard time teaching her to be comfortable in her own skin due to the images of beauty that society constantly throws at us. I wanted my future daughters to know and appreciate their unique beauty, so I chose to create something that I felt would help show them this. As well as being a message to every single little girl out there that feels she's different or doesn't meet the media's definition of beauty, I wrote this book as a message to my younger self. 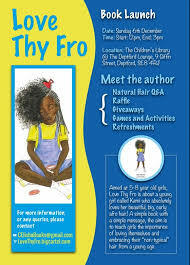 To let her know that it's okay to have hair that's not quite as silky straight as the next little girl, and that this hair is a blessing rather than a burden. 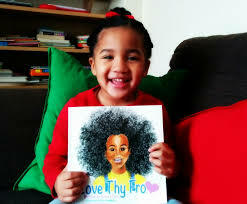 I hope that your daughters, nieces, little cousins and sisters can see themselves in Kemi as they learn to love their fros!" Casey: A lot of my inspiration comes from various conversations that I have with people. I found that I wanted to create something that I could give to my future daughter so that she would never feel the way that I felt about my hair as a little girl. I didn't like my hair, I didn't like how it looked, I didn't feel beautiful with it, and those are feelings I don't think any young girl - any girl at all - should feel. So I really wanted to put something out there that could help young girls to see the beauty in their hair and start to see it as less of a burden. What do you want the readers to take away from your book? Casey: I want young girls to read the book and feel beautiful in their own skin. It's about more than hair. I want these girls to feel unapologetically proud of who they are, and to feel inspired. Where can they purchase your book?